Looking for something completely different? Our Wedding Garden Games package will definitely top your event and wow your guests! 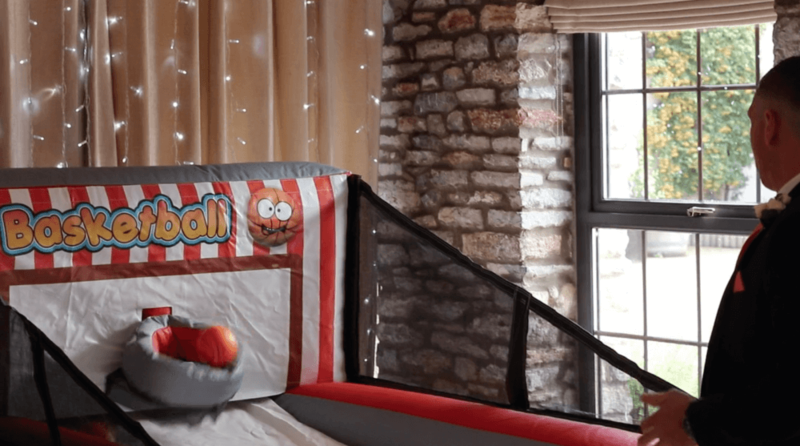 We can provide five individual inflatable games for your family and friends to enjoy throughout the day. The games package works at its best in the early evening while you’re waiting for the room to be set up for the evening party. Before booking you will need to makes sure your venue has suitable power and enough space. 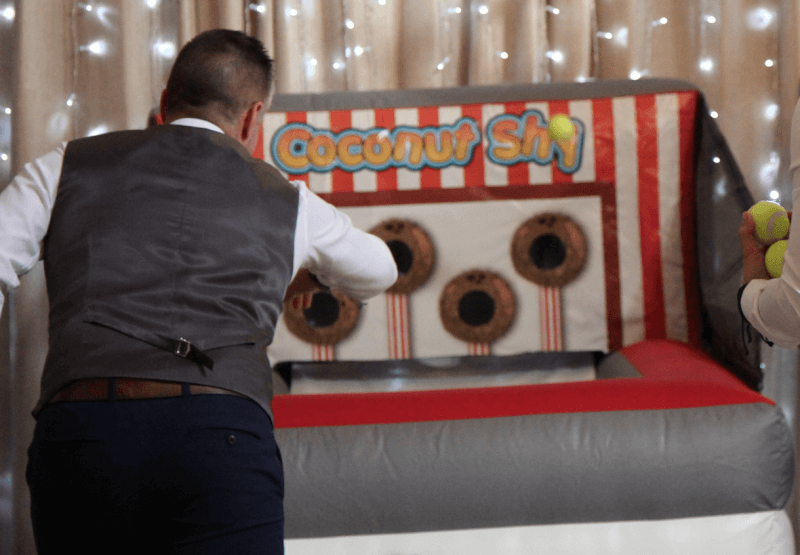 Bringing back the childhood memories with a traditional coconut shy which is one of our most popular wedding garden games. A great way of getting your guests involved. Try your luck and see how many you can hit! Get your guests to keep track of how many coconuts they hit. This wedding garden game is supplied with three basketballs. It may look easy, but how many can you get through the hoop in 30 seconds? Bring out your inner Katniss Everdeen (Hunger Games) with this Wedding Garden Game and hit the bullseye on this super fun archery game! 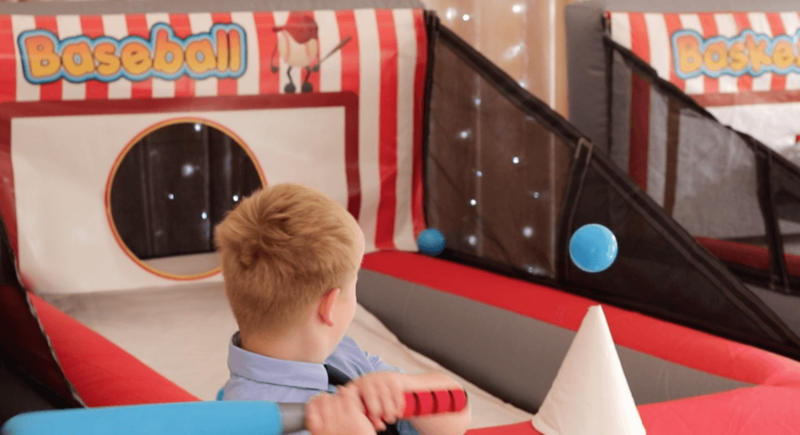 Swing the bat at the hovering ball to see if you can hit the baseball in the hole. This wedding garden game may sound easy, but it takes some practice! Get a head start and by the end of the day, you should be a pro! This wedding garden game is popular with the adults and children alike. Simply aim and shoot at four floating balls with the Nerf gun to see how good your aim is! 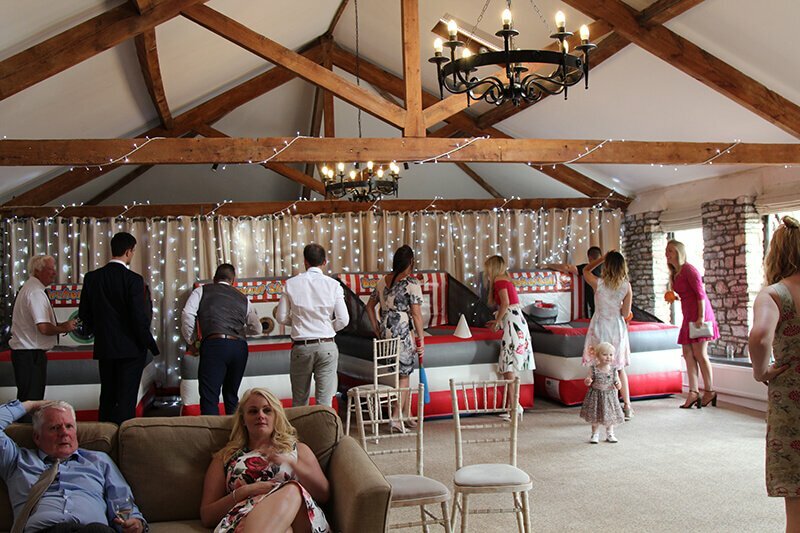 For more information and to book Kieran Clarke’s wedding entertainment services give me a call on 07849 150 594 or email info@kieranclarkeents.co.uk and I will get back to you as soon as possible regarding your wedding garden games.